Apart from telling our friends – we haven’t made any big Facebook or social media announcement – in fact, I think this is the first photo I have posted online of me being pregnant (hence why I chose one where I look particularly good! ;) We have both felt that this was a very special time for us and were not ready to tell the world. However as I was driving along today, taking in the boring yet familiar landscape that is Brasilia – it occurred to me, that being pregnant in Brazil must be a far different experience than say, if I was pregnant in England or the US! So I thought I would highlight these differences to anyone else who may be planning, or who may find themselves ‘accidentally’ pregnant in Brazil! This is probably the biggest surprise to me about being pregnant in Brazil. I suddenly find myself the centre of much attention and affection from complete strangers! Pregnant women’s status in society somehow elevates from ordinary to extraordinary with every centimetre their belly grows. 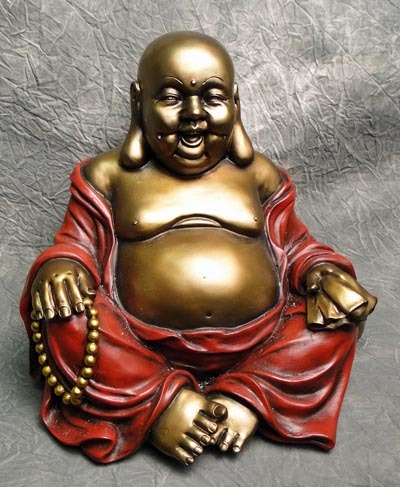 Do not be surprised if complete strangers come up to you specifically and rub your belly as though you are some form of lucky Buddha! This week alone I have had two ‘belly’ encounters. The first was a vendor at our local Saturday market (CEASA) who walked past and vigorously gave my belly a good rub and a pat! And the second was the receptionist at Dr. Feet who upon seeing me enter the clinic, jumped out from behind her desk, ran over to me and with both hands grabbed my belly and started wiggling it from side to side – while asking me questions about the baby. But don’t be mistaken. It is not just the women who are excited about my pregnancy – men are equally as thrilled! There is a supermarket called O Tigrao that I like to go to here, and over time, I have made ‘friends’ with a young attendant who is probably in his early 20s. When I told him I was pregnant, his entire face lit-up and he exclaimed enthusiastically ‘Oh, how magical, how wonderful – what exciting news!’ Now every time I go back, he always asks after the baby, how I am feeling, can I feel the baby move etc. etc., he really wants to know the details! I ask you this – how many male 20 somethings do you know that would show so much enthusiasm in a pregnant woman? ABSOLUTELY NONE. Hell, my own brother is not even interested in my pregnancy! At most you would get a shy mumble of a congratulations and a quick change of topic! Ahhh how I love these priority lines! 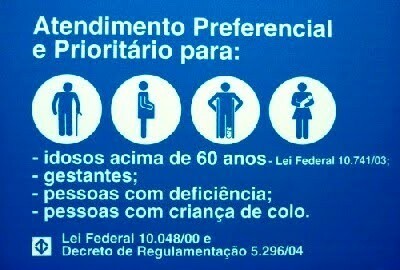 In Brazil, if you are 60 or above, handicapped, pregnant or have baby in arms, you automatically get to use the priority line ANYWHERE! Whether it is at the supermarket, clothing department, cinema queue, on public transport – and my personal favourite- anywhere in the airport (check-in, boarding, security), you get to cut the line. Not only do you get to cut the line, but you get to cut the line with one other person! I can tell you, that C and I have been taking complete advantage of this privilege! I have been nothing but impressed with the quality of care, attention and services I have received from the medical community here in Brasilia. I have to point out though, that I am seeing private practitioners practicing in private clinics – I have heard the State-run hospitals are another beast entirely! As this is my first pregnancy, I have nothing to compare to – but I feel as though all the doctors and specialist that I have come into contact with, spend an extraordinary amount of time with me. As the healthcare system here is not centralised, I do have a lot of various people invested in my pregnancy. I have my OB, my sonogram doctor, my endocrinologist as well as my doula – all of whom I see regularly, and all of whom allocate about an hour (if not longer) for me during our appointments. Over the last few months, I feel as though I have built up a strong relationship with all of them, and have confidence in their ability. But do you know what the best part is? They have ALL given me their Whatsapp number! Whenever I have a question or a doubt, I just Whatsapp them, and then they get back to me immediately. I have a hard time believing that this happens in either the US or the UK! However a visit to the doctor is not always that rosy – appointment times are very fluid and flexible. Take today for example, I had an 11.50 appointment with my OB, but I only got into see here at 13:05. The Swede in me is furious by this point and am in a good mind to tell her that this is unacceptable, but then she opens that door, smiles and calls my name like an old friend – and all is forgiven! Caesarean Capital of the World! According to the World Health Organisation 85% of all births in Brazil are born by caesarean. This is an absurdly high number, and one that the WHO are in fact very concerned about. Not to get into the politics of natural birth vs caesarean, but what upsets me is the lack of choice and options many women face here. Not only is there a strong cultural preference for caesareans, as it is viewed to be more modern and civilised way of giving birth (compared to the undignified labour of natural birth), but doctors have been known to actively dissuade, bully and threaten their patients into caesareans. Through the US Embassy, I have been very lucky to find a wonderful OB who feels very strongly about natural births and believes that caesareans should only be used in a medical emergency. However, OB’s like her are few and far between, which means that she is very much in demand (especially among the expat population) and is very hard to get an appointment with! Unfortunately, this is a reality that we all have to face at the moment in Brazil. Last year Brazil saw an exponential increase in a rare birth-defect called microcephaly, where babies are born with unusually small heads. Although no concrete evidence has been found, the mosquito borne Zika virus is thought to be the cause. The concern is so great that the CDC (Centre for Disease Control and Prevention) have issued a warning to all pregnant women travelling to and living in affected countries to be extra cautious, or cancel their travel plans altogether. I have also found out this week, that the U.S. State Department is offering to medevac (diplo-speak for medical evacuation) pregnant women back to the US if they so wish. However, needless to say it does mean we have to be extra vigilant against the mossies, until more concrete information emerges. There you have it – my list of What to Expect When Expecting in Brazil! If there is anyone else out there who have their own experiences to share, please do so in the comment section below, it would be really fun to read! < Previous Hey Presto: Pesto! Next > Learning to Cook in Lima! Congratulations and many best wishes!!! Congratulations, Alex! What exciting news! I had written a long comment here this morning then had issues logging in and lost it all! :( Happy to hear that all is well and can’t wait to hear more! Hope you are keeping the gender a surprise until the big day! I know NO ONE does anymore, but I loved finding out during delivery! Good luck and keep us updated!! Oh that is WONDERFUL, Alex! You won’t regret it, I promise!! Congratulations and I hope all is going well!